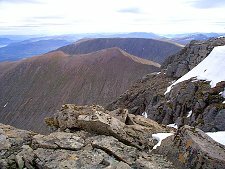 At 4,411ft or 1,345m, Ben Nevis is the highest mountain in the country. That's the good news. The bad news is that it's probably also the most popular. And simply in terms of people lifted or carried off, it is also probably the most dangerous. 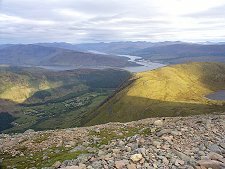 Its proximity to Fort William, its relatively modest height by international comparisons, and the accessibility of the path from Glen Nevis mean that tens of thousands of walkers climb Ben Nevis each year. If you decide to join the throng, remember that this is a serious undertaking and dress for the mountain and not for the valley. Scotland's changeable weather and the proximity of the Atlantic should never be forgotten. 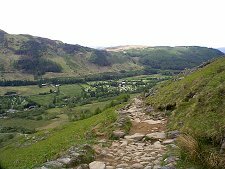 Whatever the time of year it is usually cold up there; usually windy; often wet; under snow for much of the time; and statistically you are going to have to climb it five or six times before you get a view off the top. So a good map, a compass and the knowledge of how to use them might also help you avoid walking off the edge of the (often corniced) 2,000 foot cliffs very close to the summit route. And if you really must wear white trainers to make your attempt, make sure they are white trainers you are unlikely to need again. For ordinary walkers there is really only one practicable route to the top, and it's the one that starts at Achintee Farm (with an alternative start at the Youth Hostel) in Glen Nevis. The first half of the climb takes you to the attractive Lochan Meall and t-Suidhe, and though the path can become badly eroded after heavy rain this is a relatively moderate mountain walk. Thereafter the most popular route zig-zags up the rounded dome of the upper mountain, becoming increasingly rough and rocky underfoot while the views - assuming no cloud - open out to the north, west and south. 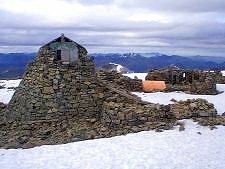 You'll know you've reached the summit by the crowds posing for photographs on the top, or eating their lunch in the emergency shelter, or simply hiding from the wind in the ruins of the observatory built in 1883. 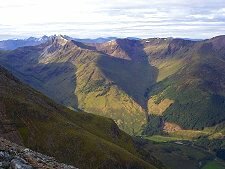 The standard guide to the Munros of Scotland, published by the Scottish Mountaineering Club, reckons it takes 3 hours and 50 minutes to reach the top by this route; but if this is your first Scottish mountain you'll be lucky to break 5 hours up and at least 3 more to get back down. It will make you feel no better to know that each September there is a race to the top, and back: and that the record for the round trip is under one-and-a-half hours. There are other ways to the top. The 2,000ft cliffs on the north east side of Ben Nevis have long been a climber's playground, as much in winter as summer. 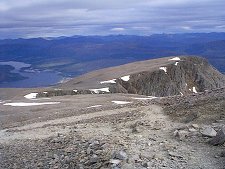 And some guidebooks suggest an alternative to the upper half of the tourist route that takes you around the back of Ben Nevis, up onto Carn Mor Dearg, and then around the narrow rocky ridge of the Carn Mor Dearg Arete before climbing Ben Nevis from its much less busy eastern side. This is great route, but don't even think about it unless you're really used to Scottish mountain conditions, and very fit. If you are lucky enough to pick a day when the top is clear of cloud, the views make all the effort you've expended in seeing them worthwhile. 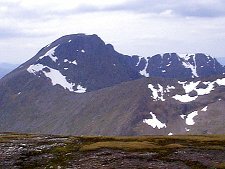 The most immediate views are to the east, over Carn Mor Dearg to Aonach Mor and Aonach Beag beyond. 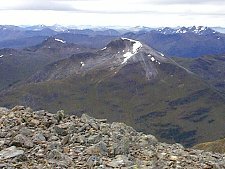 To the south beyond Glen Nevis lies the rocky ridge of the Mamores, and still further the mountains of Glen Coe. 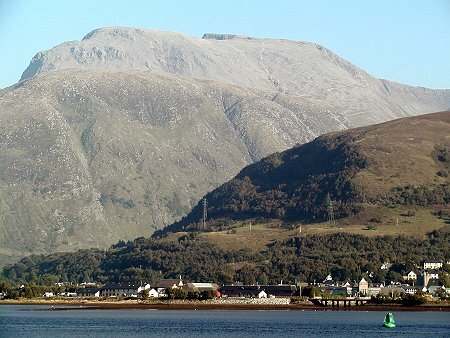 Ben Nevis is 4,411ft or 1,345m high. The "tourist" route involves 1,340m of climb on the 7km walk to the summit.